This article is about the British Prime Minister's residence. For the Brexit white paper, see Chequers plan. For the board game, see Draughts. For other uses, see Checkers (disambiguation). Chequers, or Chequers Court, is the country house of the Prime Minister of the United Kingdom. A 16th century manor house in origin, it is located near the village of Ellesborough, halfway between Princes Risborough and Wendover in Buckinghamshire, United Kingdom, at the foot of the Chiltern Hills. 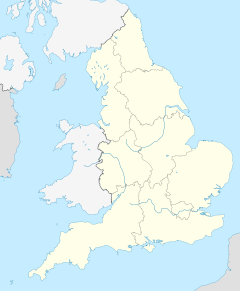 It is about 40 miles (65 km) north west of central London. Coombe Hill, once part of the estate, is located two thirds of a mile northeast. Chequers has been the country home of the Prime Minister since 1921. The house is listed Grade I on the National Heritage List for England. Chequers — the official country residence of British Prime Ministers since 1921. The name Chequers may derive from an early owner of the manor of Ellesborough in the 12th century, Elias Ostiarius (or de Scaccario). The name "Ostiarius" meant an usher of the Court of the Exchequer and scacchiera means a chess board in Italian. Elias Ostiarius' coat of arms included the chequer board of the Exchequer, so it is possible the estate is named after his arms and position at court. The house passed through generations of the Scaccario family (spelt many different ways) until it seems to have passed into the D'Awtrey family, whose name was eventually anglicised to Hawtrey. A different explanation of the name is that the house is named after the chequer trees (Sorbus torminalis) that grow in its grounds. There is a reference to this in the book Elizabeth: Apprenticeship by David Starkey, which describes the early life of Elizabeth I.
William Hawtrey built the current mansion circa 1565, although this may have involved reconstruction of an earlier building. A reception room in the house bears his name today. Soon after its construction, Hawtrey acted as custodian at Chequers for Lady Mary Grey, younger sister of Lady Jane Grey and great granddaughter of King Henry VII. Lady Mary had married without the monarch's consent and was banished from court by Queen Elizabeth I and kept confined as a punishment. Lady Mary remained at Chequers for a period of two years. The room where she slept from 1565 to 1567 is still kept in its original condition. Through descent in the female line and marriages, the house passed through several families: the Wooleys, the Crokes and the Thurbanes. In 1715, the then owner of the house married John Russell, a grandson of Oliver Cromwell. The house is well known for this connection to the Cromwells, and it still contains a large collection of Cromwell memorabilia. In the 19th century, the Russells (by now the Greenhill-Russell family) employed Henry Rhodes to make alterations to the house in the Gothic style. The Tudor panelling and windows were ripped out and battlements with pinnacles installed. Towards the end of the 19th century, the house passed through marriage to the Astley family. In 1892-1901, Bertram Astley restored the house to its Elizabethan origins, with advice from Sir Reginald Blomfield. In 1909, the house was taken on a long lease by Arthur Lee and his wife Ruth (an American heiress). Lee immediately re-engaged Blomfield to undertake a restoration of the interior. At the same time, Henry Avray Tipping undertook the design of several walled gardens from 1911 to 1912. In 1912, after the death of the last of the house's ancestral owners Henry Delavel Astley, Ruth Lee and her sister purchased the property and later gave it to Arthur Lee. During the First World War the house became a hospital and then a convalescent home for officers. After the war, Chequers became a private home again (now furnished with many 16th century antiques and tapestries and the Cromwellian antiquities), and the childless Lees formed a plan. While previous Prime Ministers had always belonged to the landed classes, the post-First World War era was bringing in a new breed of politician. These men did not have the spacious country houses of previous prime ministers in which to entertain foreign dignitaries or a tranquil place to relax from the affairs of state. After long discussions with then Prime Minister David Lloyd George, Chequers was given to the nation as a country retreat for the serving Prime Minister under the Chequers Estate Act 1917. The Lees, by this time Lord and Lady Lee of Fareham, left Chequers on 8 January 1921 after a final dinner at the house. A political disagreement between the Lees and Lloyd George soured the handover, which went ahead nevertheless. This house of peace and ancient memories was given to England as a thank-offering for her deliverance in the great war of 1914–1918 as a place of rest and recreation for her Prime Ministers for ever. The property houses one of the largest collections of art and memorabilia pertaining to Oliver Cromwell in the country. It also houses many other national antiques and books, held in the famous "long room", including a diary of Admiral Lord Nelson. However, the collection is not open to the public. Nearby Coombe Hill was part of the estate until the 1920s, when it was given to the National Trust. Coombe Hill and the Chequers Estate are part of the Chilterns Area of Outstanding Natural Beauty, designated in 1965. The landscaped park, woodlands and formal gardens surrounding Chequers are listed Grade II on the Register of Historic Parks and Gardens. During the early part of the Second World War, it was considered that security at Chequers was inadequate to protect the Prime Minister, Winston Churchill. He therefore used Ditchley in Oxfordshire until late 1942, by which time the approach road, clearly visible from the sky, had been camouflaged and other security measures had been put in place. 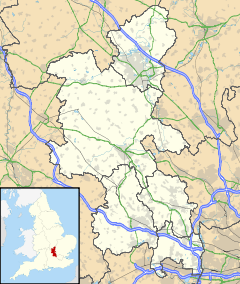 On 1 June 2007 the Chequers estate was designated as a protected site for the purposes of Section 128 of the Serious Organised Crime and Police Act 2005. The effect of the act was to make it a specific criminal offence for a person to trespass into the estate. In July 2018, Prime Minister Theresa May held a Cabinet meeting at Chequers to agree the UK's approach to Brexit which became known as the proposed "Chequers plan". Downing Street and Chequers are about 41 miles (66 km) apart. The Ridgeway National Trail crosses the private drive. 10 Downing Street — the Prime Minister's London office and official residence of the First Lord of the Treasury. Chevening — the British Foreign Secretary's country residence. ^ Major 2001, p. 16-8. ^ a b c Williamson/Pevsner 2003, p. 234. ^ Lady Georgina Bertie (1845). "Five generations of a loyal house. Pt. 1, containing the lives of R. Bertie and his son Peregrine, lord Willoughby". ^ Hawtrey 1903, pp. 30–1. ^ Major 2001, p. 27. ^ Major 2001, p. 75. ^ Lee 1974, p. 167-8. ^ Major 2001, p. 99. Hawtrey, Florence Molesworth (1903). The History of the Hawtrey Family. I. London: George Allen. Retrieved 11 February 2013. Lee, Arthur (1974). Clark, Alan (ed.). A Good Innings; The Private Papers of Viscount Lee of Fareham. London: J. Murray. ISBN 0-7195-2850-X. Major, Norma (2001). Chequers: The Prime Minister's Country House and its History. London: Little, Brown and Company (UK). ISBN 0-316-85844-7. Williamson, Elizabeth; Pevsner, Nikolaus (2003). Buckinghamshire. The Buildings Of England. Yale University Press. ISBN 0-300-09584-8. Wikimedia Commons has media related to Chequers.